With Illinois lagging behind other Midwestern states in recovery from the Great Recession and with the state of Illinois presently experiencing out-migration and a tidal wave of Baby Boomer retirements looming on the horizon, Illinois’ rural areas and mid-sized cities should consider offering perks to lure younger, skilled workers, an NIU economic policy analyst says. Norman Walzer, a senior research scholar for NIU’s Center for Governmental Studies, points out that over the next decade, the population of residents in the age group of 60-to-79 is expected to swell in the states of Illinois, Wisconsin and Indiana by a combined total of nearly 1.2 million people. Another 200,000 residents will be added to the 80-plus age group. 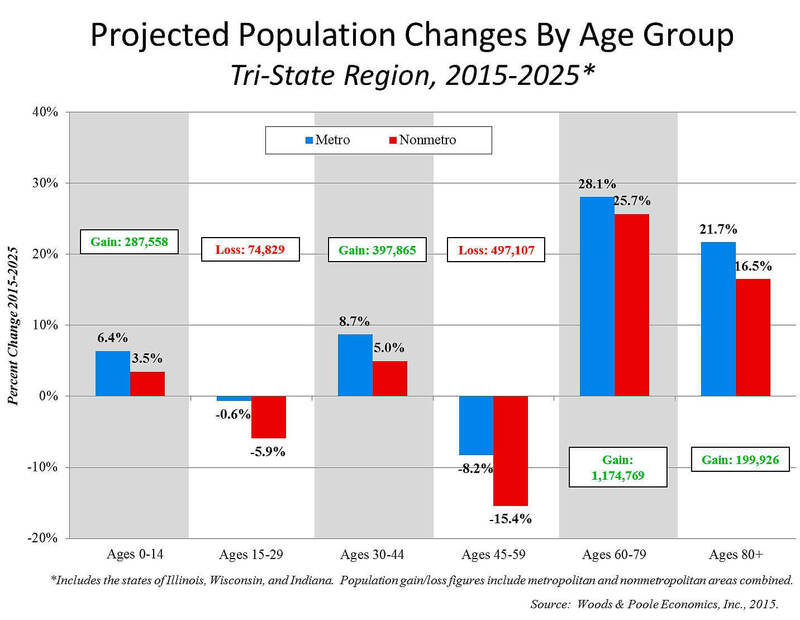 At the same time, the tri-state area’s population of people ages 45-59 is expected to drop by nearly 500,000. Population gains are expected among millennials (ages 30-44), but not nearly enough to offset retirements. Because of past capital investments in automation, fewer workers will likely be needed to replace the retirees. But companies in some industries may still be hard-pressed to find highly skilled employees. Population changes already taking place in Illinois include a shift from rural to urban settings, so future workforce challenges will be accentuated in areas outside of the Chicago metro region, he adds. 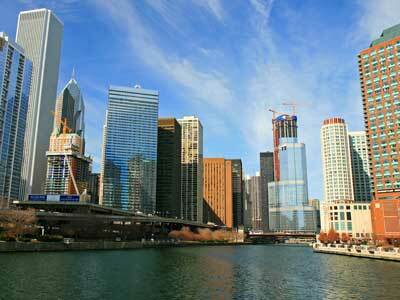 Large metropolitan areas such as Chicago and its nearby counties are employment magnets. They will likely continue to draw skilled workers, Walzer says, noting the “wage differential is rising between metropolitan and rural areas” in the state. “To sustain its workforce, Illinois communities outside the Chicago metro region must place more importance on encouraging in-migration, especially of young adults with the skills that are increasingly in demand by prospective employers,” Walzer says. Some states actively and aggressively pursue policies aimed at attracting and retaining young adults by maintaining contact with them during their college activities. Other states provide incentives such as subsidized mortgage rates if they choose to return to their home communities. “The importance of in-migration by young adults is clear, not only because they may increase the workforce, but because they may bring the latest skill sets needed by strategically important economic sectors such as advanced manufacturing, biotechnology or health care,” Blanke says. In recent years, Illinois has experienced out-migration, with residents moving to other states, particularly Indiana, Wisconsin and Missouri. U.S. Census Bureau data shows Illinois had nearly 10,000 fewer residents in 2014 than in the previous year – the largest numerical decline of any state in the nation and the first statewide population dip since the mid-1980s. If not for the steady growth of the Hispanic sector from 2010 to 2014, the population of Illinois would have plummeted during that time by nearly 80,000 people. Illinois towns leading in population decline include Rockford, Decatur, Belleville, Moline, Freeport and Danville. When communities lose population, it’s typically a sign of lost jobs or an aging population. New resident recruitment must be paired with efforts to train employees locally, Blanke adds. “It is important to note that marketing to prospective in-migrants is a strategy that is most effective when used in concert with local efforts to build a pipeline of skilled workers,” he says. An earlier Policy Profiles article, from August 2013, described several successful workforce development efforts under way in Wisconsin, Indiana and Michigan, and also in Chicago and Rockford.